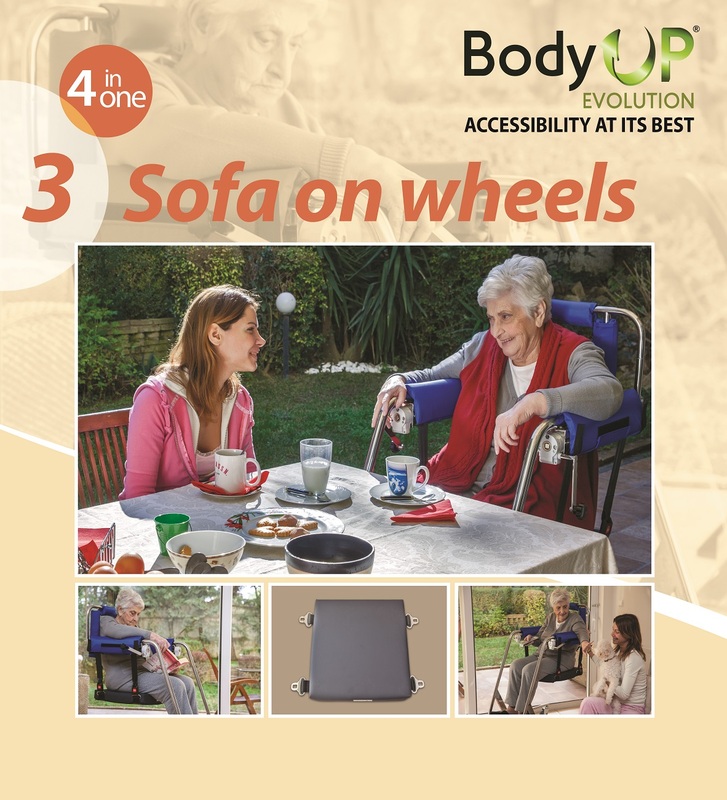 The BodyUp Evolution Wheelchair for Seniors is a Disability Aid or Assistive Device with unique capabilities to lift the patient out of bed and transfer to a sofa, car or toilet commode. This one-of-a-kind Senior Mobility product provides 4 key functions in one single easy-to-use product. 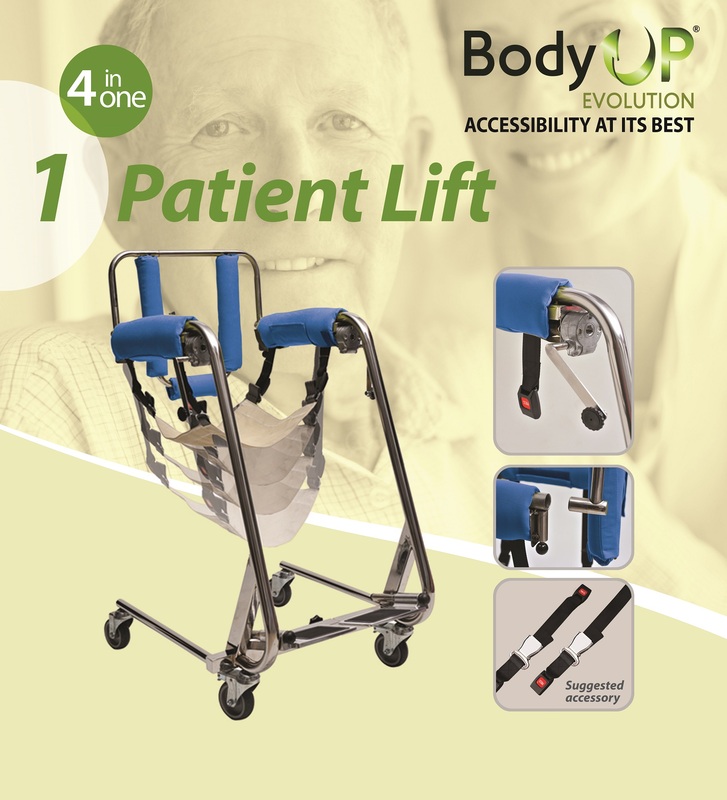 Unlike any classical patient lift, BodyUp Evolution has been designed to lift the patient from the bed while the body maintains its natural sitting posture. The care giver can raise the patient from the bed with ease and dignity and transfer to the wheel chair, sofa, commode or car. The special gears and levers of the BodyUp Evolution make the patient lifting procedure simple and effortless for the care giver. Physical stress for the Care Giver is over. You no longer have to use physical strength to achieve simple, ordinary tasks. Back pains, sprains & aches for the Care Giver belong to the past. Requires low maintenance and it is easy to clean. No batteries and charging to worry about. No batteries and charging to worry about. After you are raised from the bed onto the BodyUp Evolution, conveniently transport you to the bathroom for a bath or toilet. It is made of high quality stainless steel that makes it water-resistant and usable in the shower for a bath or toilet. No more compromises! It is easy to use and convenient. Be in the natural, private bath environment. Bathing and toileting are not a "taboo" anymore. 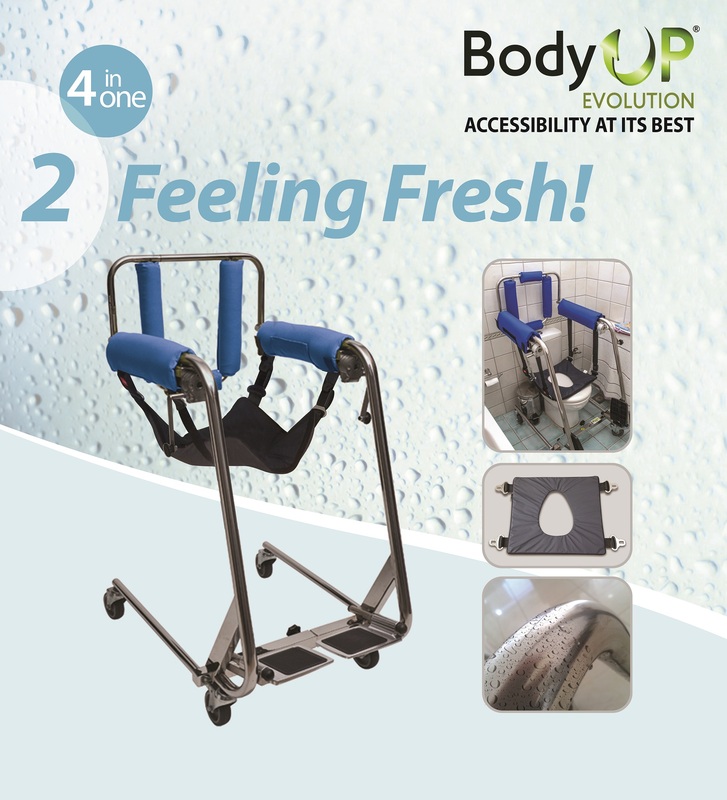 After you are raised, use the BodyUp Evolution as an indoor wheelchair or as a sofa on wheels! 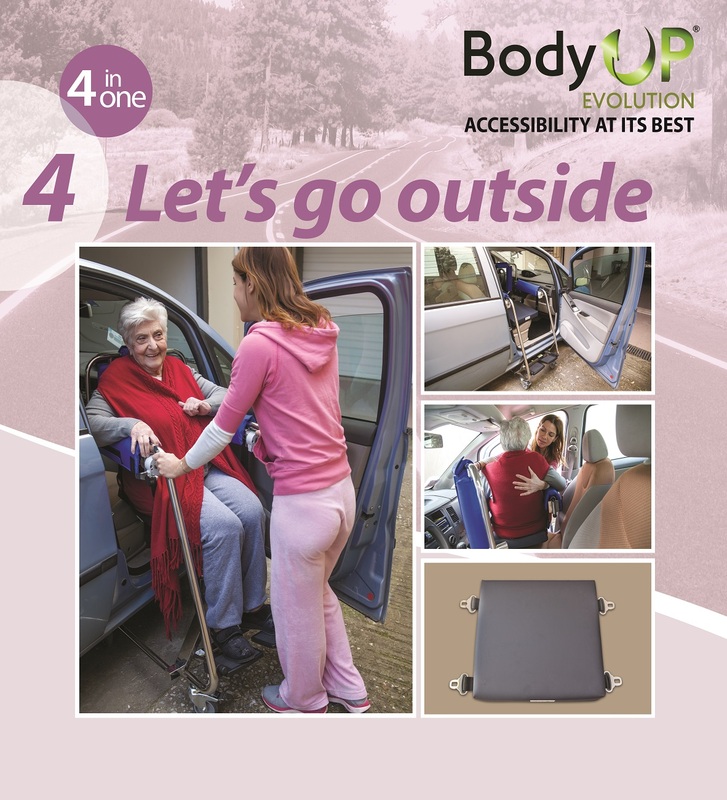 After you are lifted and transferred, BodyUp Evolution makes vehicle accessibility more feasible than ever. All models of BodyUp Evolution are compatible with most sedan vehicles..
No additional expenses for car-modifications.